During Brisbane Heat’s batting, the Gabba pitch did not seem very seam-friendly and all of the Sydney Sixers seamers went for over eight an over. Even Sean Abbott, who picked four wickets, conceded 40 runs in his four overs. Having anticipated this fact, Brisbane Heat captain Brendon McCullum decided to go for slow bowling in the powerplay overs and his best choice would have been opening the bowling with Samuel Badree. 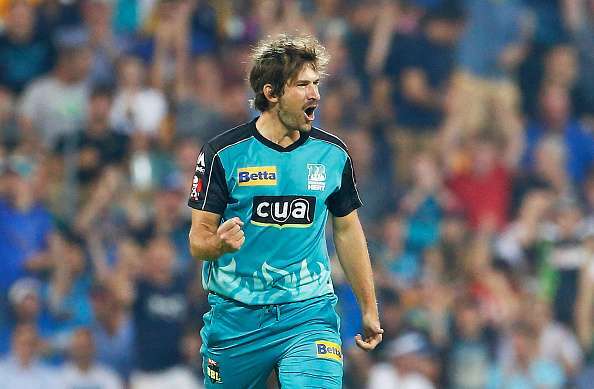 Instead, McCullum opted for Joe Burns, who had bowled a total of eight overs across his entire cricketing career. Burns, however, did not have a bad start as he got the wicket of Nic Maddinson in the very first over. However, in his very next over, he was hit for two boundaries by Colin Munro and did not bowl another over. He ended the match with figures of 17-1.